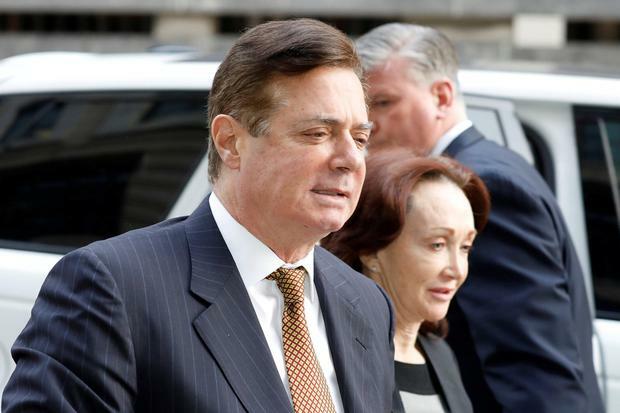 US PRESIDENT Donald Trump’s former campaign chairman Paul Manafort has been jailed for a further three-and-a-half by a judge who attacked him over his lies and criminal behaviour. Manafort was then hit with a new indictment in New York on a fresh set of charges outside the reach of a potential presidential pardon. The sentence by Judge Amy Berman Jackson in Washington, adding to one given by a different judge in Virginia last week, means Manafort will spend six years, nine months behind bars, after being credited for nine months already served as part of Special Counsel Robert Mueller’s investigation into Russia’s role in the 2016 US election. Manafort, a veteran Republican political operative who earned millions of dollars working for pro-Russia politicians in Ukraine, was sentenced to six years and one month for two conspiracy counts to which he pleaded guilty in September 2018 related to money laundering, unregistered lobbying and attempted witness tampering. Ms Jackson said two-and-a-half years will run at the same time as the sentence in Virginia, where he was given 47 months in prison after being convicted for tax evasion and bank fraud in another case prosecuted by Mr Mueller. The Manhattan district attorney yesterday unveiled a separate indictment of Manafort charging him with residential mortgage fraud worth millions of dollars. The charges are significant because unlike federal crimes they cannot be erased by a presidential pardon, a prospect Mr Trump has not ruled out for Manafort. “No one is beyond the law in New York,” District Attorney Cyrus Vance, a Democrat, said. Unlike at his sentencing hearing last week, Manafort said he was sorry for his actions, but Ms Jackson then told him his expression of remorse rang hollow. She said he had lied repeatedly and committed fraud repeatedly. “Saying ‘I’m sorry I got caught’ is not an inspiring plea for leniency,” Ms Jackson told Manafort, who was brought into the courtroom in a wheelchair because he has gout.